Ooooh, I loved this post! Even if I don’t love all this music. I know I listened to all this stuff, too (especially since you owned all these CDs … though wasn’t that Ace of Base one MINE??!). But in college I finally realized that I don’t really LIKE a lot of it (Smashing Pumpkins is particularly annoying to me). The exception, if you couldn’t guess, is Collective Soul. 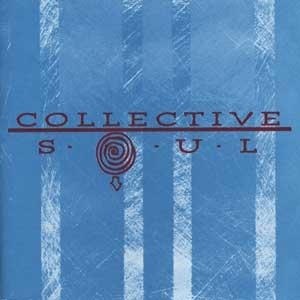 I adore Collective Soul — or, at least, I adore everything before “Blender” (and some later stuff, but not much). Every single track on their CDs felt like my favorite. I couldn’t figure out why other people hadn’t even heard of this group … why was that?? Anyway, I went to a Collective Soul concert in Salt Lake and it was AWESOME. I think like the “Precious Declaration” CD the best. I keep meaning to buy the whole album on iTunes. Yeah, that Ace of Base on was actually yours, but I think I bought it for you. The only other one I didn’t own was Hootie & The Blowfish. I agree to some degree about Smashing Pumpkins – a lot of their stuff is quite annoying to me now, but not ten years ago. There are still four or five of their songs that are good, though. Wow, there are so many albums on this list that I also listened to in high school, and some I still listen to!